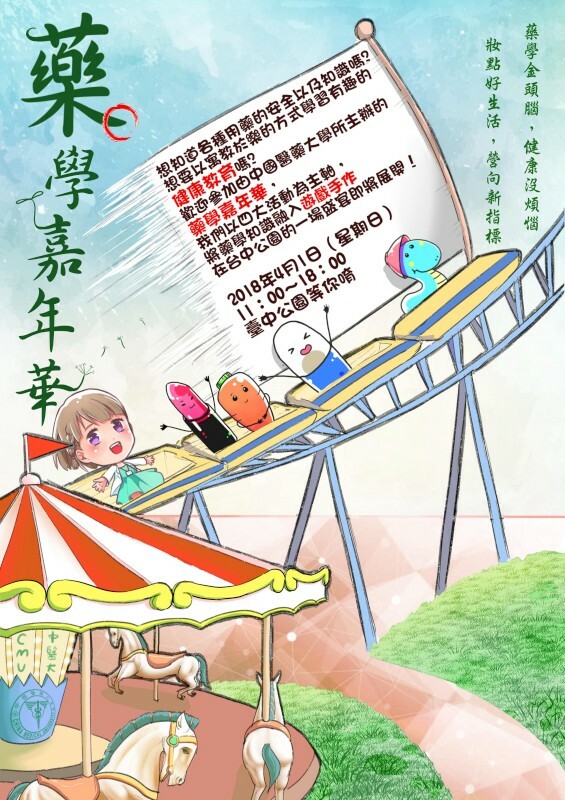 College of Pharmacy will host the 2018 Pharmacy Carnival at Taichung Park on 1st of April. Free health checkup and pharmacist consulting are provided at the booth. And you could even make your own lip balm and fragrant sachets during the event! Pharmacy Carnival has been held since 2013 for six years. And the main theme of the Pharmacy Carnival this year is the health care of the citizens. Holding hands with the Department of Cosmeceutics and the Department of Nutrition, CMU students will provide citizens basic information of health diet, dietary therapy and skin care. With the help and sponsor of Taichung Pharmacist Association, CMUH Pharmacy, famous Pharmaceutical factory, dietary supplement food suppliers, pharmacies and cosmetics makers, CMU hope to provide citizen in all ages the knowledge of health care in a fun way. Special souvenir designed by students will also be given at the event, please grab one for free! CMU student will also perform flash dance at the seething CMP Park Lane. Please join us on the weekend and have a different April fool’s day!